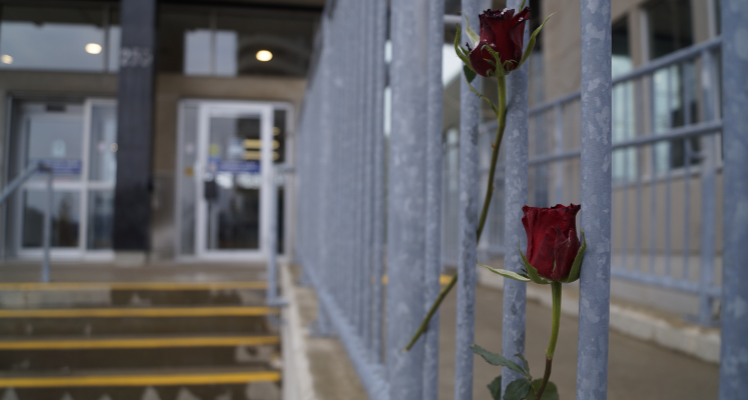 A solemn ceremony was held in Sarnia Thursday morning to mark the 29th anniversary of the Montreal Massacre. On December 6, 1989, a man shot and killed 14 women at Ecole Polytechnique. Sarnia-Lambton Sexual Assault Survivors Centre Executive Director Michelle Batty was one of the guest speakers. She said violence against women continues to be a problem in our society. Batty said there are lots of things people can do to help victims of violence. Allan McKeown from the Male Ally Coalition and Nancy Peters of the Native Friendship Centre also addressed the crowd. Thursday’s ceremony began at 9 a.m. at Sarnia City Hall, with the Canadian flag at half mast.